First start cooking your rice. I usually make 2 to 3 cups of rice to go with this meal, but you can make more or less according to how many people you’ll have. 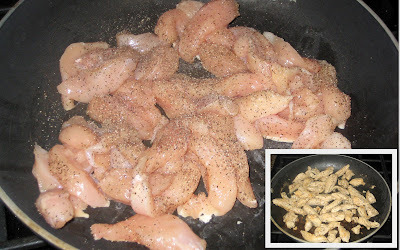 Then take your chicken and cut it into strips. Season the chicken with garlic salt and pepper and brown it in a pan. After browning place chicken on a plate and set to the side. In your pan add the cream of chicken soup, milk, and thawed broccoli. If broccoli’s not already cut up, then dice before adding it to the pan. After bringing soup mix to a light boil add cheese and chicken into the pan. Stir this all together and allow your chicken to heat back up. Meanwhile turn on your broiler. 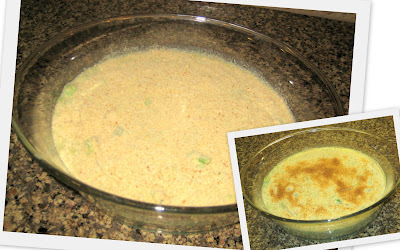 Pour hot soup mix into a casserole dish and cover with bread crumbs. Be careful when you are pouring soup mix being that it is hot. After covering with bread crumbs place casserole on the top rack under the broiler. It will brown quickly, so stay close and watch it. After browned take casserole out and serve with rice.